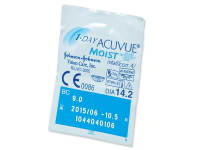 These popular daily disposable contacts feature the exclusive LACREON technology, which keeps the lenses moist, and are equipped with UV filters for enhanced protection. This package contains 180 lenses. 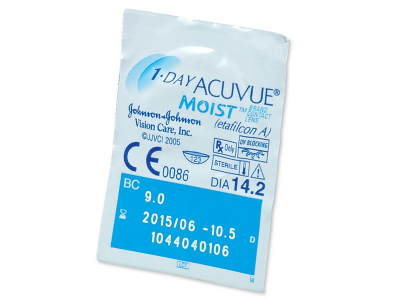 1 Day Acuvue Moist are classic, daily contacts developed by Johnson & Johnson as the successor to the original 1 Day Acuvue lenses. 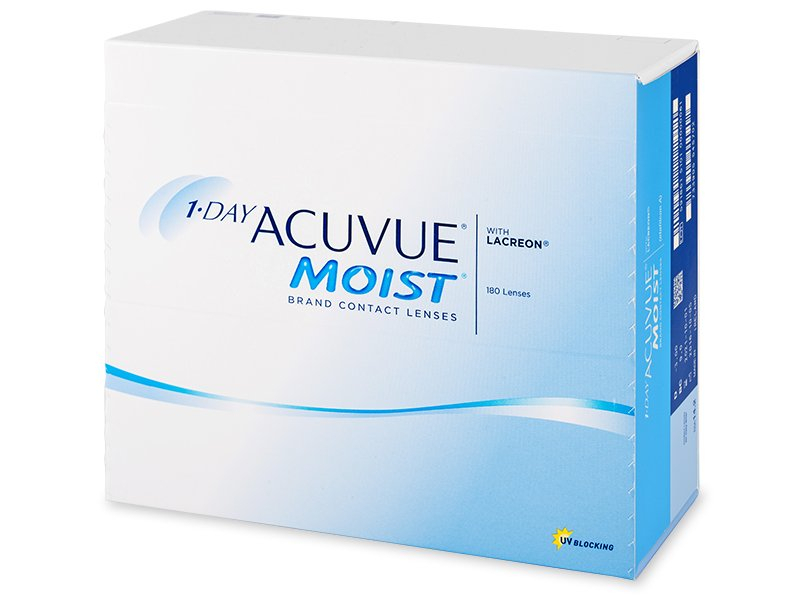 1 Day Acuvue Moist lenses are produced with the innovative LACREON technology, which embeds a lubricating substance right into the lenses. The manufacturer states that the change from 1 Day Acuvue to 1 Day Acuvue Moist is possible without the need for a consultation with your optician. This package contains 180 lenses. 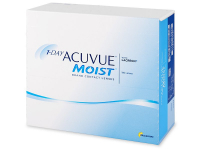 We also offer 1 Day Acuvue Moist daily contact lenses in a pack of 90 lenses. 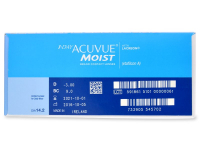 Please check the outer packaging to ensure you have ordered correctly BEFORE opening. Hi, I bought these lenses last time and the price was £66.58 How come they are more now and I can I buy them again for the same price please? Hi, We are very sorry to hear of your disappointment in our pricing. Unfortunately, due to the demands of the market we occasionally have to amend our prices which can sometimes result in slight increases. We do however still remain to be the lowest price in the market. We advise that if you find a lower price we can price match this for you if it meets our conditions. All the information can be found on our lowest price guarantee option on our website.